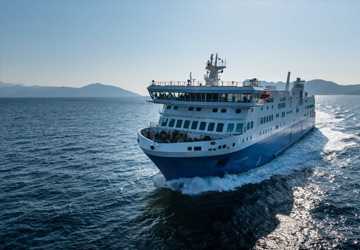 The Thira Naxos ferry route connects Cyclades Islands with Cyclades Islands and is currently operated by 3 ferry companies. 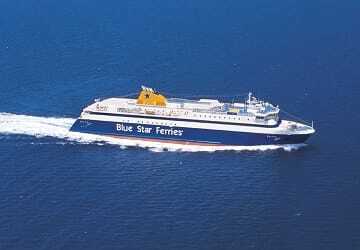 Blue Star Ferries operate their crossing up to 11 times per week, Sea Jets 16 times per week & the Golden Star Ferries service is available up to 14 times per week. 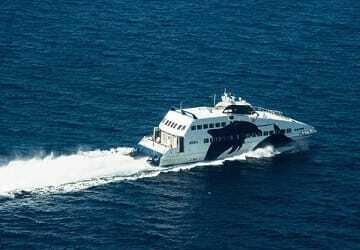 There are a combined 41 sailings available per week on the Thira Naxos crossing between Cyclades Islands and Cyclades Islands and with 3 ferry companies on offer it is advisable to compare all to make sure you get the best fare at the time that you want to travel. Prices shown represent the average one way price paid by our customers. The most common booking on the Thira Naxos route is a car and 2 passengers. 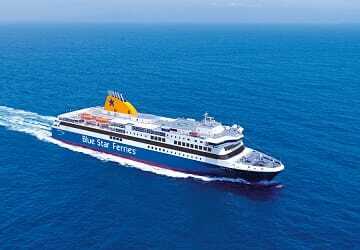 "Blue Star Ferry to Naxos"
Very pleasant journey. Ship was on time. 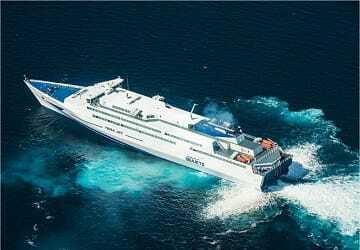 My only concern was the assembling of foot passengers on the car deck before the ship had docked and when the cargo door was opening. 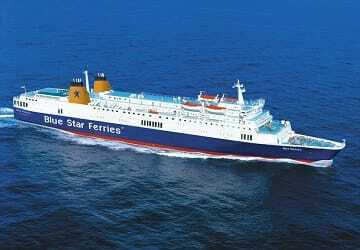 "Piraeus / Santorini / Naxos"
Very impressed with Blue Star Ferries. Clean, spacious, comfortable seats (air seats) and outside seating. Would definitely travel with them again! Comfortable, quick and helpful crew. 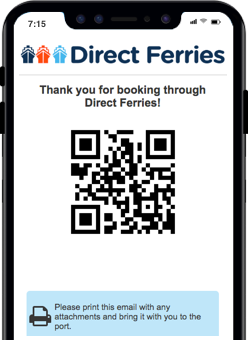 The booking made with Direct Ferries worked absolutely perfect. I picked up the tickets on the ticket office at the port. No problems. 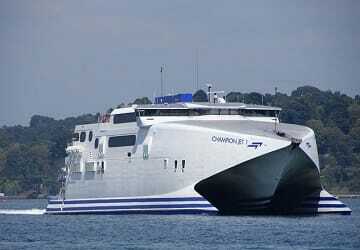 This is my second trip, with the same operator, from Santorini to Naxos and, on both time, I had a nice experience. 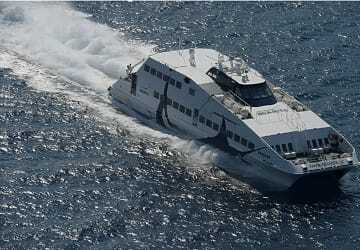 All services were in working order and this year the ferry was on time. I would definitely recommend it!